A brief recollection: the first half of 20th century mass production was kicked off by the Ford Motor Company’s innovative assembly-line production methods. Fabrication in first world countries therefore used first class materials and simple design that was easy to repair and built to last. A means of distribution implemented--lifetime warranties offered the middle class confidence in their brand choice and loyalty to its next generation of product. For those economically impoverished “third world” and Eastern European states, lack of material resources were countered by copying patented designs with slight modifications. Where aesthetic form was concerned this watered down modernist ideal suggested the same level of quality for fractions of cost. Thus an economic black market was born that grew more sophisticated as globalism set in. After the common European market was implemented and China was fast tracked to join the World Trade Organization things deteriorated ever more. Cost to production/distribution analysis (what is now known as metrics) gave rise to outsourcing in low wage countries such as Mexico, India, and ultimately China. Where Made in the USA, France, or Germany once guaranteed a certain high standard. The notion of “cheap” took on new meaning, as production costs plummeted while profits soared. “Made in China”. What this really connotes is planned obsolescence--this ingenious corporate framework perpetuates the interdependence between consumer and producer. Products are manufactured with a “sell by” expiration date. Long “shelf-life” and reparability are not worth the cost of saving. New iterations of old things perpetuate the viscous cycle of incoming outgoing. Meanwhile the hypocrisy of the corporate “green” movement and United Nations sustainability is very clear. The U.N. says a good 21st century global citizen is a producer/consumer, and that the model state is China. This translates to bloated production capacities offering too much choice of mostly needless things with no lasting value. Meanwhile environmentalists shout aloud about resource depletion while the corporate feudalists lobby governments about the virtues of “free trade”. Their diabolical solution of a carbon tax will drop the developed Western world down to the level of the third world. Meanwhile China, India, and “BRIC” nations can pollute all they want in order to raise their standard of living. The poor slate will supposedly be leveled between have and have not--everything will be taxed to “save the planet”. “Import/export will be a monetization and redistribution of human capital itself. POOR then, is what Lazar Lyutakov assesses and exploits well. That gray zone between ‘B’ class raw materials and ‘A’ class distinction. Poor, as comparable to the trenchant DIY videos of media artist Hito Steyerl. Her polemic  on the low-res image critiques the neoliberal radicalization of the concept of culture as commodity. In a consolidation of power, corporate entertainment/media monopolies were created enabling them to marginalize alternative experimental cinema and documentaries. Relegated to archives and underground screening they disappeared from mainstream outlets such as movie theaters or public television until digitization gave them second life in various deteriorated states of resolution from the original analog source. Somewhere along the geo-political line, all of this cloak and dagger proprietary information ties-in with the corporate format wars that continue to this day. 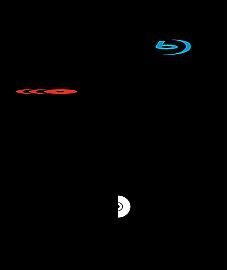 Technology as applied science brought us LED lighting and the Sony Corporation’s Blue-Ray DVD with its universal standards. Universal standard is monopolized; monopolies are what keep technology coming and going. Monopolies decide when its time to change the format. In so doing the passing technology becomes the new “poor” construct.  Incandescent bulbs stop production and disappear; DVD replaces VHS, DVD’s are usurped by MP4, and “poor” continually gets redefined as a class distinction between upgraded format and throwaway format. Hito Steyerl’s mediated image tropes correlate to Lazar Lyutakov’s three-dimensional objects. The repurposed “poor” material goods parallel the deconstructed “poor” images exploited by Steyrl in the virtual domain. Formally, Lyutakov takes his cues from appropriation and commodity art such as Haim Steinbach shelf displays or Sherrie Levine remakes. Materially they’re functionality is re-formatted with another purpose in mind. The “poor” in this case is the cheap throwaway meets the readymade. The obsolescent “durable good” is given a reformatted afterlife liberated from design obscurity. With this framework of standard formats in mind, light design has been a topic of interest for Lyutakov, (and polar opposite to the high aesthetic/production of Jorge Pardo’s light works). 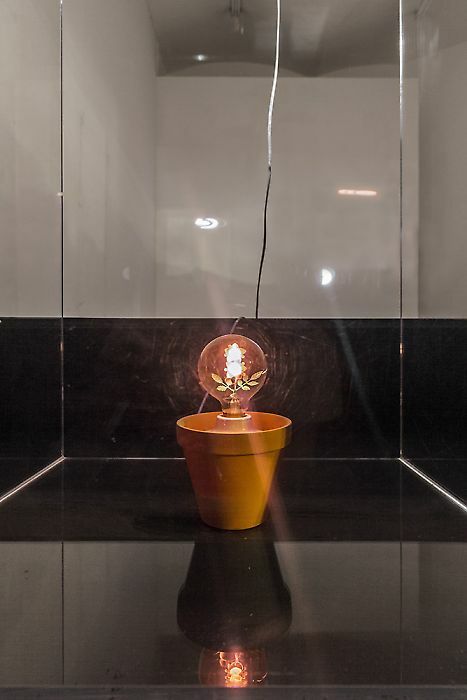 His series of utilitarian lamp sculptures originate from an interest in the economics of production while critiquing the utopic elitism of high Modernism. Using the most cost effective “poor” materials, he’s transformed the cheapest of the cheap mass produced products or vessels (5 euro plastic bowls, sieves, et al.) into aesthetically pleasing functional objets d'art. The detritus of certifiable 20th century industrial artifact is synthesized with the glut of global bootleg copies of design innovations of yesteryear. This question of authentic, copyright, authorship, and proprietary information is a very complex subject now. Ethically right or wrong, in 2015 one aspect of contemporary art and the cross platform media culture-at-large is to parse through this metadata. To move itself forward fine art’s breaking with convention has always been is its raison d'être. Whether its breaches of intellectual property or categorical breaches of sanctified art tradition the wheel keeps spinning even if its get wobbly at times. It’s no accident that contemporary art plays with commercial branding and fickle mainstream consumption brought to you by the tastemakers of trend forecasting companies. The exclusive brand and its generic model have the same latent baggage as the high cultural object. Its deconstructed, copied, brought to the black market or exhibition space, sold to a consumer or re-contextualized to an audience. The goal posts are always moving. By deliberation, durable goods have metastasized into industrial compost; corporate identity logos have flat lined into disembodied abstractions floating in a virtual purgatory of spurious cultural signifiers. 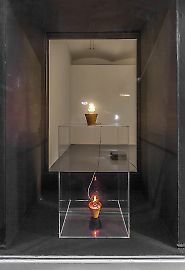 Excavating the obscure , rather kitschy early light sculptures of American minimalist Dan Flavin, neo-conceptual artist Lazar Lyutakov has produced a quasi-bootleg of those less known tabletop sculptures. Their obsolescent light bulb components are nearly identical to ones manufactured in Flavin’s era. 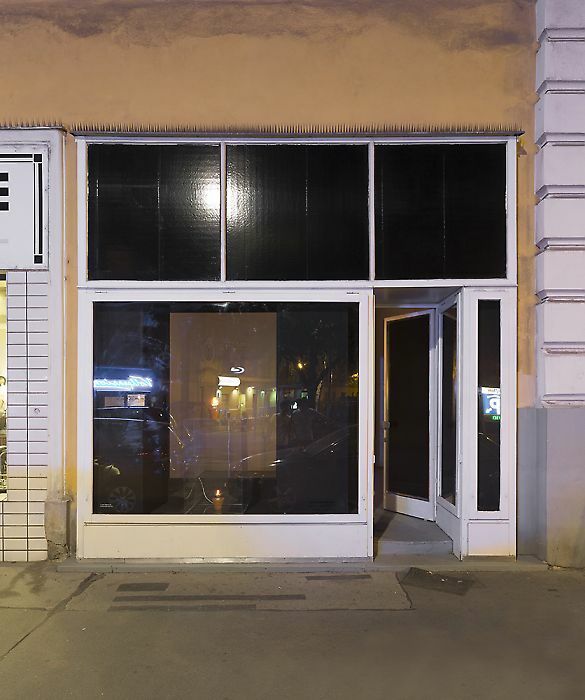 After a period of archival research on the history of their production Lazar sourced and purchased the rare vintage light bulbs via the Internet. 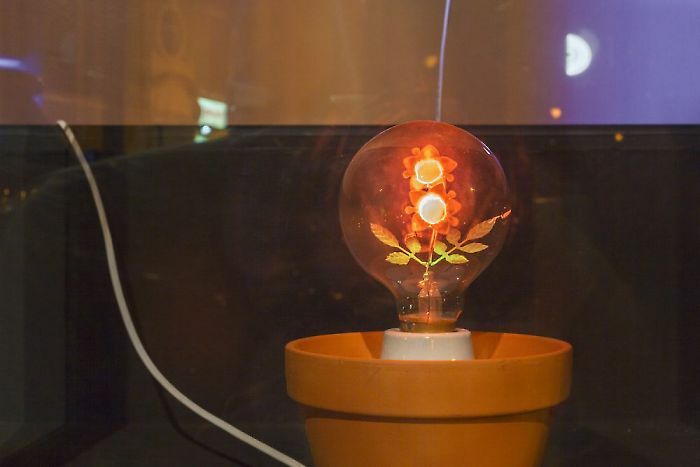 Inside of the clear glass is a perfectly crafted rose shaped filament emitting its incandescent light. 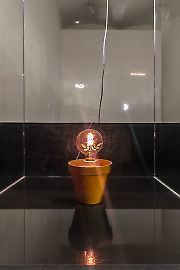 As documented in the collection of MoMA, New York, the materials listed are: “Aerolux Flowerlite” light bulb, terracotta flowerpot, electric cord, and light switch. An artifact of its time, this novel item of amusement has long been out of production long before the standard incandescent bulb was recently phased out globally. The U.S. patent was filed on June 7th 1932, followed by a filing in Tokyo by another inventor on March 2nd 1936. 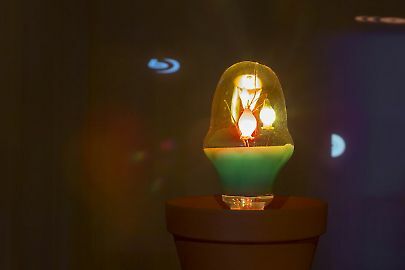 Pursuing the same goal, each patent developed a different technology and design; one contains an incandescent light bulb with hand made glass objects inside with wires that heat up to provide light. The other utilizes a gas discharge to provide a similar mood effect. 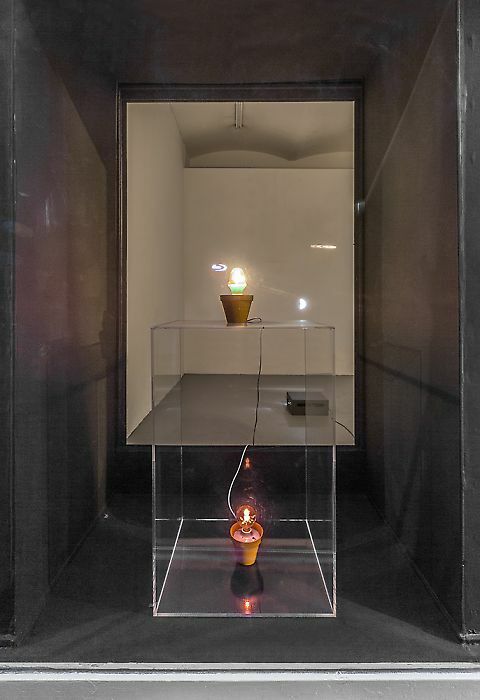 Formulating an idea for approaching the Flavin concept with difference, Lazar’s main objective was to create an alternative version. Much like a band that covers another bands song, stylistic distinctions are made in the content of the vessel. The vessel of contemporary art questions and determines what content actually is or isn’t when “user content” signify variations of the same mass appeal social construct. To use a fashion analogy, yesterdays dress “format” is the same as today, save for the switch to a “new” pantone color of the year. Critical mass jumps on the bandwagon; opinion as peer pressure is as easy as social media. Distinctions in content get watered-down, original ideas turn into “poor” iterations of sophisticated concepts and vice versa. Paradoxically there is richness in “poor”, well understood by the adage quantity not quality. Accountants can verify this statement! As pivot point to all things mainstream artists are in real time working through distinctions of the meaning of “poor”. Where a loophole called the mind still exists the art of the coming generation has to circumnavigate this materialist “poorness” with “rich” ideology. To counter an artificial financial instrument called “austerity”, their duty is to subvert the exploitative machinations of corporate feudalists and their partners, the military industrial complex. In the so-called anthropogenic 21st century, hell is a mall in the consumer inferno. It isn’t an economy of the lesser; its poorness is the dereliction of content value given way to the nightmare of a hollowed out social order in the illusory wireless “paradise”. “The Barbara Roses”, 1962-71. 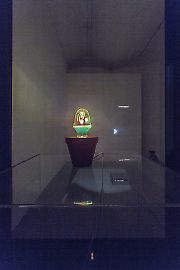 Titled after the American art historian Barbara Rose, a close friend of Flavin.